Clouds slowly began blocking the sun. The warm summer breeze suddenly started blowing colder and harder. Almost instantly, the temperature dropped 20 degrees. In the distance, a bolt of lightning flashed and exploded into the earth. Seconds later the sound of the explosion thundered and reverberated across the sky. Minutes later the wind increased in intensity and along with it the rain became so intense it was blinding except for the increasing lightning bolts. The accompanying thunder drowned out the pelting rain. A beautiful warm sunny summer day had suddenly turned into a raging out of control storm and suddenly within the howling wind, the rolling thunder a quiet yet powerful whisper spoke, “The time has come to seal up the Ark.” As the storm raged and flooded the earth safe and at peace inside the inhabitants bowed and thanked God for their safe surroundings. You’re no doubt thinking I’ve just written my account of the story of Noah and the Ark. In all honesty, Noah’s story entered my imagination but that is as far as it got. What I’ve actually written about are events in our lives. I probably should have written the whispering voice to say, “The time has come to seal your life up in Jesus,” but I didn’t instead what I wanted to do is to illustrate how the stories in the bible can have meaning to us all these years later. Now if you know the rest of Noah’s story you will also know that you will be safe tucked away in Jesus’ heart until the storm subsides and the results of the flood of adversities drain away. And you will experience firsthand the Safety and Peace of being in Jesus’ heart. Noah and the Ark – you and Jesus – the circumstances may be different but when storms and floods rage in your life the results are the same! However, in reality there’s a great difference between your story and Noah’s. 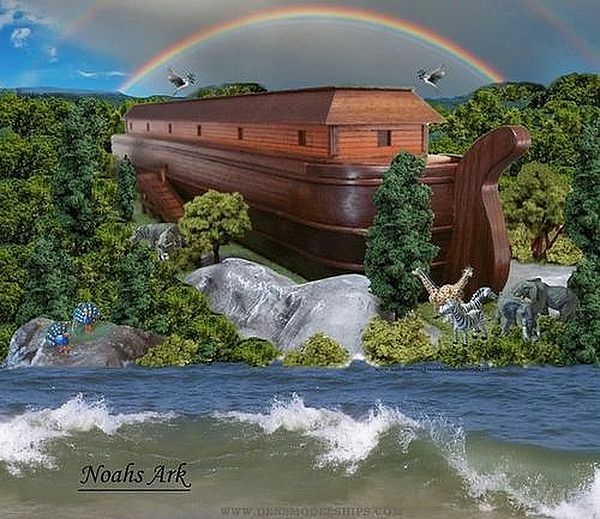 Noah left the Ark behind because the storm and flood subsided – you must never leave Jesus behind because in life (you already know this) storms comes and storms go and the sun always shines on those who are in the SON! Amen so true! Bless the Lord!